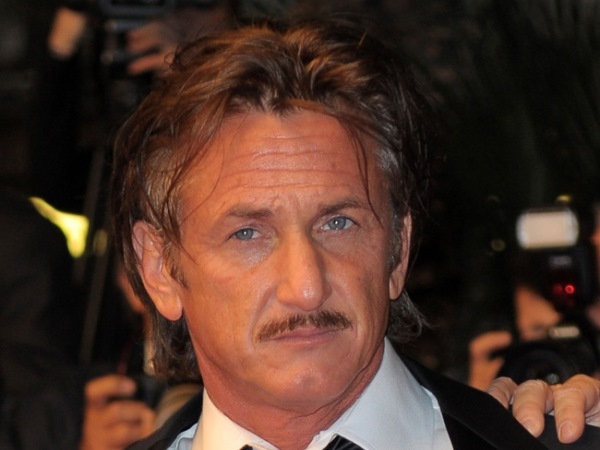 Sean Penn has revealed that Charlize Theron convinced him to get rid of his guns and have then turned into a piece of art. Charlize Theron has convinced Sean Penn to get rid of his guns. The Oscar-winning actor (53) credited the Prometheus actress, whose mother shot and killed her father after he drunkenly fired his own gun into the South African beauty's bedroom when she was 15, for helping to change his mind about keeping the weapons in his own home and plans to have them moulded into a unique sculpture. Speaking on stage at his star-studded Help Haiti Home Gala in Beverly Hills on Saturday night, Sean referred to "a strong woman who happens to be from South Africa" but did not mention Charlize (38) whom he recently began dating, by name, according to EOnline.com. He said: "Being provoked by this aforementioned strong woman and considering how liberating of bulls**t and ugliness it would be not only get rid of the guns I have in the continental United States but also to destroy them, (artist) Jeff Koons and I had a chat the other day. The highest bidder gets every single one of my guns put in the hands of this iconic artist and sculptor... Koons will decommission [and] render inactive all of my cowardly killing machines." CNN presenter Anderson Cooper won the still-to-be-made artwork for $1.4 million after outbidding his colleague Piers Morgan, who stopped bidding at $1.3 million. Charlize, who has a two-year-old adopted son Jackson, previously spoke out in favour of tighter gun control in the US and South Africa. She said: "You shouldn't have those things around because when people get irrational and emotional and drunk, terrible things can happen."